In the early 1980s, the Pearl River Delta (PRD) region was transformed into a vast manufacturing hinterland for Hong Kong, as well as an experimental zone for China’s new economy. Massive foreign investments from the British colony boosted a region that aspired to become the fifth Asian dragon. Established by entrepreneurs, a politics of laissez faire was successfully injected into local infrastructural projects. Joint ventures and private money propelled a leap that responded to the global economy and accession to WTO. A linear shopping mall was built at each Superhighway entrance-exit node. Due to the dimension of the intersection nodes these structures remain disconnected from the city. 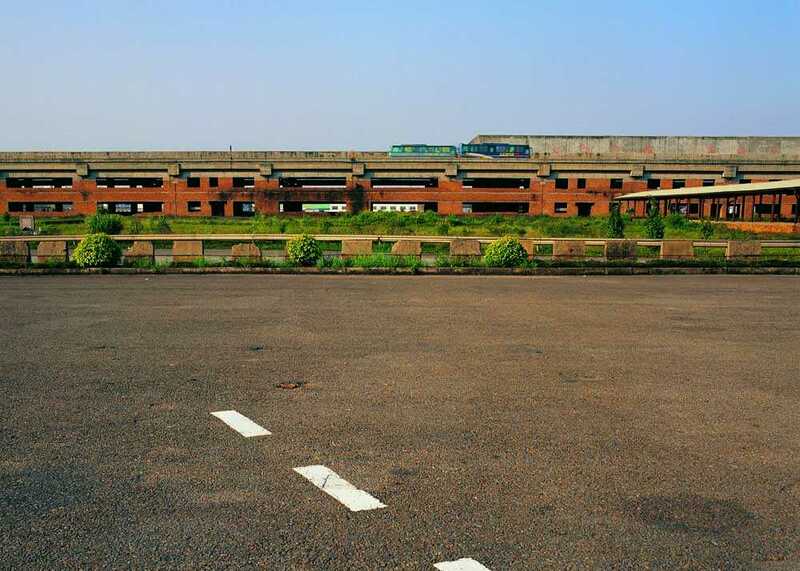 Therefore the malls were never occupied and were left abandoned. Rom-Hoob market runs about 500 meters along both sides of the Mae Klong railway in Samut Songkhram. A container market located outside of Odessa, at the ‘7th Kilometre’, claims to be the largest market in Europe. Four Tigers Market is a major node of the East Asian migrant community in Budapest. A game of masquerades, Moscow's Cherkizovsky market occupies a 1980s Olympics site. At Arizona Market in Bosnia and Herzegovina informal urbanisation intersects with post-war peacekeeping. High-contrast developments take place just outside Istanbul's Byzantine city walls.